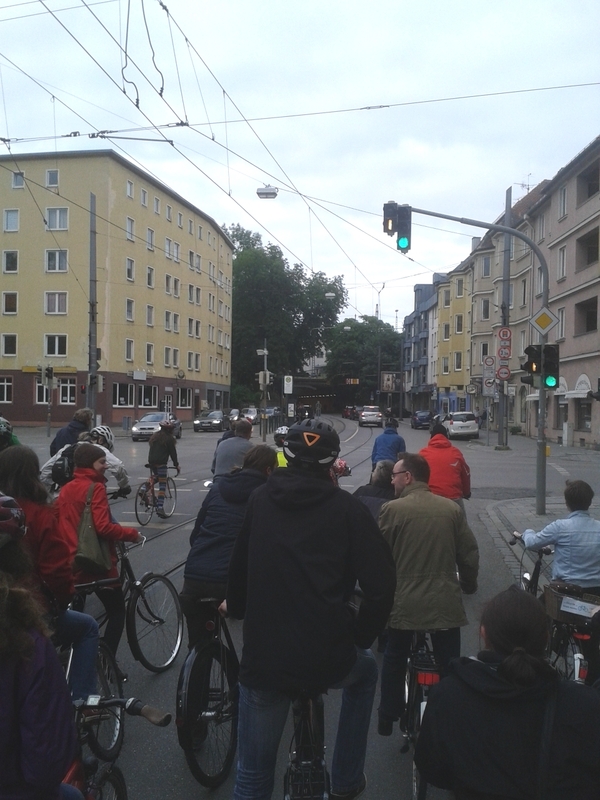 Again a very nice tour with about 40 participants (I did not count them) even though a bit cold at just abot 10 °C. 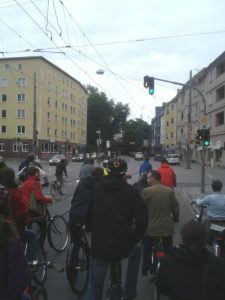 On the other hand this time there were several rundabouts and underbridges and some tallbikes and tandems also took part. Very nice: The participants are all mixed at all ages from children up to older contemporaries. The politics in Augsburg also took part – represented by Thomas Lis from AfD and Reiner Erben from Bündnis 90/Die Grünen. As usual for this tour there is also the obligatory track recording in the GPX-Viewer. By the way: Everybody is welcome to participate – every last friday each month at 6 pm at Rathausplatz!